Keller Williams Real Estate: Is It Right for You? There are so many different real estate companies out there. How do you know which one is right for you when it comes time to buy or sell your home? 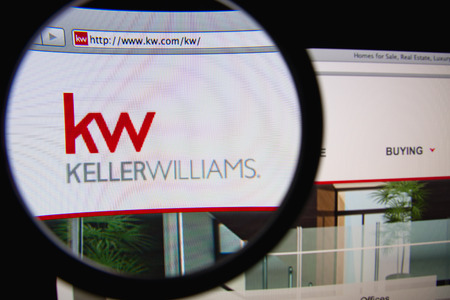 One name you may have heard before in the real estate industry is Keller Williams Realty. Like any real estate company, Keller has its strengths and weaknesses. Before making any decisions, be sure to weigh all your options to determine which real estate company best fits your needs. Keller Williams is an international real estate franchise that has nearly 800 offices around the world. The real estate company also prides itself on being “built for agents by agents,”. It has nearly 140,000 associates across the globe. One of the biggest advantages of working with KW realtors is that it’s a large company with many offices. So. no matter where you live, there’s likely a realtor near you. The company has also been in business for over 30 years, so if you’re looking for an established real estate company that has offices around the world, they could be a good fit. Although the company may be large, that’s not always a good thing. Big companies are often unable to offer their clients the individual, personalized advice like small offices can. Small real estate offices that only have one or two offices in a single city also typically know their neighborhoods better than large companies, since that city is their home. When you’re getting ready to buy or sell your home, the most important step is finding the right real estate company to help you through it. So consider your needs and weigh your options. If you decide you prefer a local company, give STL Real Estate a call.